Ole Gunnar Solskjaer says consistency is key to Manchester United’s top four hopes. The interim boss has turned the season around for United over the course of a month and we’ve gone from 11 points adrift of fourth to just 2. 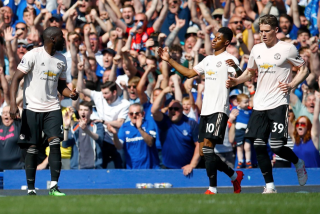 A win on Saturday against Fulham, however, would see United climb into the top four for the first time since the opening weekend of the season. 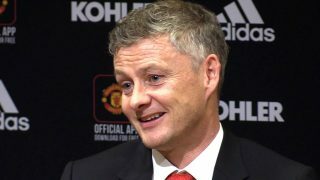 It goes without saying that securing Champions League football for next season would boost Solskjaer’s chances of landing the job. At least now it’s a realistic objective after becoming an impossible task up until last month when José Mourinho was still manager. But Solskjaer is making it clear to his players that they must remain consistent. 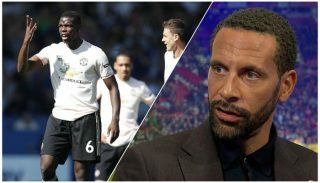 “Of course you take one step at a time and that’s one of the goals we’ve set and if we do so we want to stay there and improve on that,” Solskjaer said, as quoted by the Manchester Evening News. 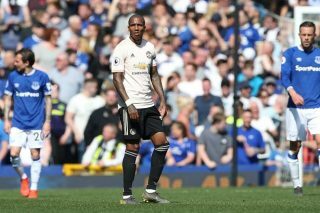 “It’s been fantastic the last two months so consistency now is the key word we keep on improving, keep on winning games, but in a better way than say the Leicester one, we held on, it was good enough but we shouldn’t just be happy with just good enough. The next month will throw up some tricky fixtures for United and Solskjaer, but spirits are high and there’s a genuine feeling we can take on anyone again. Arsenal and Chelsea join us in the battle for fourth and they’ve been dropping points while United racked up an impressive 8-game winning run under the Norwegian coach. 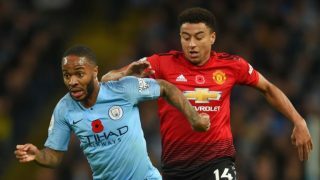 Chelsea play Manchester City away from home on Sunday meaning there’s a very good chance United will be sat in fourth by the end of the weekend.